Nonograms, also known as Hanjie or Griddlers, are picture logic puzzles in which cells in a grid must be colored or left blank according to numbers at the side of the grid to reveal a hidden picture. 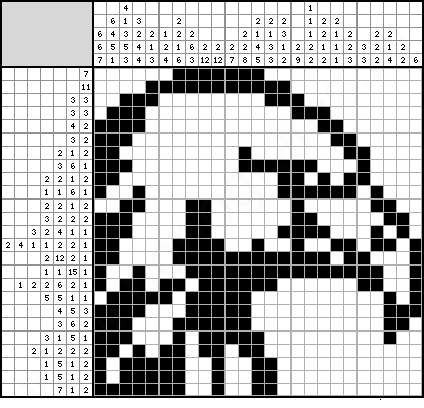 Nonograms are also known by many other names, including Paint by Numbers, Griddlers, Pic-a-Pix, Picross, PrismaPixels, Pixel Puzzles, Crucipixel, Edel, FigurePic, Hanjie, HeroGlyphix, Illust-Logic, Japanese Crosswords, Japanese Puzzles, Kare Karala!, Logic Art, Logic Square, Logicolor, Logik-Puzzles, Logimage, Oekaki Logic, Oekaki-Mate, Paint Logic, Picture Logic, Tsunamii, Paint by Sudoku and Binary Coloring Books. 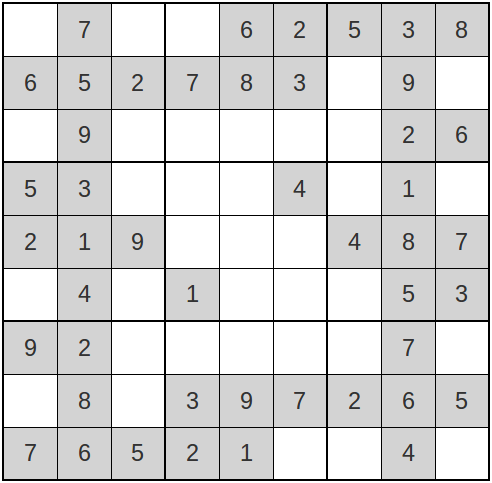 Sudoku originally called Number Place, is a logic-based, combinatorial number-placement puzzle. The objective is to fill a 9×9 grid with digits so that each column, each row, and each of the nine 3×3 sub-grids that compose the grid (also called "boxes", "blocks", "regions", or "sub-squares") contains all of the digits from 1 to 9. The puzzle setter provides a partially completed grid, which for a well-posed puzzle has a unique solution.